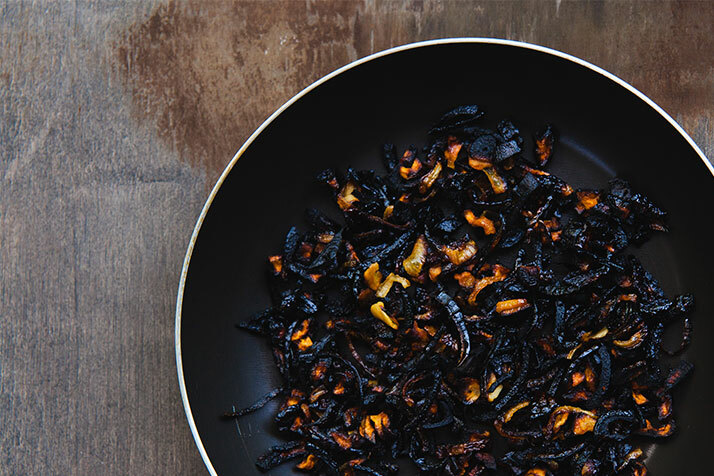 Cleaning burnt food off a pan is one of the least enjoyable parts of cooking. Maybe you got distracted while frying meat and its charbroiled remains are stuck to the pan. Another possibility is that you forgot to grease the pan before putting anything in it. Whatever the reason for the burnt food residue, you have a mess on your hands and don't look forward to scrubbing the pan clean. Fortunately, there's an alternative to this hard, time-consuming work. If you notice that you have scorched a pan, remove it from the heat right away and run it under warm water from the kitchen sink. You should do this even before you sit down to eat. Next, place the pan on a holder on the counter or a cool, empty spot on the stove. Locate a dryer sheet and place it in the pan filled with soapy water. The dryer sheet should be fully submerged in the pan. Allow the pan to sit for a minimum of one hour and then check on it. Badly charred pans may need to sit overnight. You're now ready to pour the solution out of the pan into the drain of your sink. Much of the grime that was stuck to the pan should pour out with the solution. While this method may not remove all grime, it will have loosened anything left remaining. This allows you to simply wipe it off rather than expending valuable elbow grease scrubbing it. Before putting the pan away, wash it by hand or run it through the dishwasher.